Home Loan Balance Transfer is switching your lender or transfer your balance loan amount from one bank to other bank for quite some valid reasons. Buying a home was never as easy as it is today. Home loans are a great way for people to fulfill their dream of buying a home. However, home loans are dependant on EMI, tenure and interest rate. The home loan interest rate, 2018 varies from 8.35% to 12 %. And interest rate changes according to the RBI’s repo rate which depends on the economy’s growth. EMI depends on the tenure of the home loan. Tenure can be fixed to 20 years to 30 years. So, the EMI varies according the interest rate and tenure of the home loan. Over a period you might feel burdened with the pressure of EMI payment because of the change of interest rates, in such cases, one can opt for home loan balance transfer. Home loan balance transfer is an excellent facility given by the banks to people to transfer their home loan from one bank to another where the interest rates are lesser. But, before getting ahead, let’s have an understanding of home loan balance transfer. This term is popularly known as refinancing or Balance Transfer. It allows you to reap the benefits of lower interest rates offered by other banks of financial institutions. Usually people having a remaining home loan amount transfer it to another bank or NBFC which is offering a lower interest rate. To sum it in simple words, home loan balance transfer is the process of transferring the outstanding loan amount. It saves the borrower from the pain of high interest rates. It involves transfer of outstanding home loan from one lender to another lender. It requires payment of processing fee which is about 1% of the loan transferred amount which is remaining loan amount. The entire process of balance transfer of home loan involves similar paperwork and other formalities as it is in the case of home loan. One can only apply for home loan balance transfer only after certain number of years of availing home loan. This time period is pre-determined and is mentioned in the original home loan agreement. The Home Loan Balance Transfer, also called the ‘refinancing’ of a Home Loan, may be advisable under certain circumstances. However, it may not always be the ideal solution for the problems you face with your lender. The first and the foremost advantage of home loan balance transfer is, it saves your money. Usually, people go for the option of balance transfer if they find any lender is offering a lower interest rate as compared to their current lender. The difference of interest rates, the tenure of the home loan amount and outstanding amount are the contributing factors in the process of home loan balance transfer. It is always advisable to make a switch of banks or lenders for your home loan, after you have thoroughly analyzed the interest rate difference between the two lenders. Once you find that there is going to be a significant difference, you must go ahead. If you are going for home loan balance transfer, you must first know the rules for the same and also do the cost-benefit analysis. It means that this process of refinancing must bring down your monthly EMI or lessen the time period and also decrease the cost of acquisition. Frustrated about the lender because of delayed and laid back customer solutions for queries and requests? Paying more than the existing rate of interest? Attractive products with other lenders? More discounts and benefits with other lenders? If you feel yes, for any of those, then you have to surely look out for a balance transfer option with reduced EMI every month which helps you to plan something more important in your budget. Cutting down the total amount of money to be paid as the interest on the loan which means it in turn reduces the tenure of the home loan also. Also apply for home loan balance transfer to avail attractive discounts and benefits offered by another lender. Save time, money and energy with Balance transfer. Similar to other loans, to avail the home loan balance transfer one must be eligible and hence it becomes important to know about the eligibility criteria for refinancing or home loan balance transfer. Anyone who has availed home loan is eligible for home loan balance transfer. An important point to note here is that if you have regularly paid your EMIs of home loan, you can go for home loan balance transfer. Although the criteria by most of the lenders remain the same, you may find some difference with each lender. Firstly, you must be an Indian national above 21 years of age to be eligible for home loan balance transfer. The age bar is between 21 to 60. For a self-employed individual the age slab is up to 65 years. You must have an excellent credit rating. Irrespective of the fact that you had good credit rating at the time home loan application, if the credit rating decreases after applying for home loan, you might not be able to avail home loan balance transfer facility. If you are a salaried professional, you must be employed with your current professional for a certain number of years. Usually, this period is two years. You must have the capacity to repay the loan. Some banks may ask for Minimum sum gross family income as mentioned by the lender. The rules for home loan balance transfer include submission of all the documents and papers (discussed later), submission of ID and address proof, good credit history, good CIBIL score and surety that as an individual you would be able to repay the loan amount to the bank or NBFC. As per the RBI guidelines for home loan balance transfer and home loan, the money lenders or the banks are not allowed to charge anything for prepayment of floating interest rate loans. Thus, the home loan balance transfer charges as per RBI guidelines are also influenced by this decision. Passport-size photographs of the borrower and the co-applicant if any. Completely filled application issued by the financial institution. Bank’s last six-month statement showing salary credited. ID proof like Pan card, Adhaar card (mandatory), driving license, voter ID, Passport and employment ID card in case of salaried professional. Proof of Age (Either of these): 10th or 12th Marks Cards, PAN Card or Voters ID Card. In case you are self-employed or a businessperson, then you have to submit documents which prove the existence of your business and academic qualifications along with the financial statements. Bank statements which show that home loan EMI deduction. Usually, it is of last 12 months. 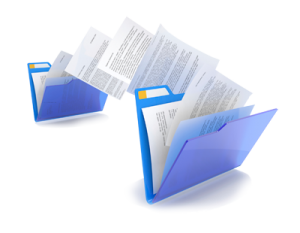 Loan statement of the company and the entire set of documents related to the property that is currently in possession of the home loan provider. Just like your home loan or any other loan, in case of home loan balance transfer you are required to go through some paperwork, which assures the lender that you can repay the loan amount. Banks or other financial institutions require you to submit certain documents so that they can proofread it and also adjudge your credibility for home loan balance transfer. All these documents provided by the borrower is revalidated and vetted by the bank or NBFC. You must make sure that all the documents are correct and appropriate as the approval of the bank depends on your repayment capabilities which are decided by the documents. Your first step for home loan balance transfer is to send an application for Home Loan transfer to your current bank. They should then provide a No Objection Certificate (NOC), foreclosure letter, a statement specifying the outstanding balance on your Home Loan, a statement of your EMI payments so far, and a list of the loan related documents available with them. For balance transfer, you have to submit the documents to the new bank, along with whatever else they may ask for. This might include your KYC documents, income proof, a no objection certificate from the builder/developer if they are being repaid through the Home Loan. The new lender will then verify all the information, and do a complete reassessment of your creditworthiness and property. Once the loan is sanctioned, the representatives of the two banks will meet. The new bank will hand over the cheque for foreclosing the old loan and the previous lender will hand over all the relevant documents to the new lender. Now, your Home Loan is with the new bank and you can enjoy the benefits offered by the switch. STATE BANK OF INDIA HOME LOAN BALANCE TRANSFER – SBI is one of the most trusted banks in India and offers great benefits and advantages. The SBI home loan balance transfer scheme with a low-interest rate is one of them. The SBI is one of most convenient and easily accessible bank. SBI home loan balance transfer charges are Up to 0.35% of your outstanding loan amount (maximum ₹11,500) (one-time fee). HDFC BANK HOME LOAN BALANCE TRANSFER : HDFC BANK is one of the leading home loan providers in India. You get an option of the top-up load which doesn’t exceed Rs. 35 lacs on your current outstanding amount, The series of benefits by HDFC banks include lowered interest rate, customized repayment options, and simplified paperwork. HDFC home loan balance transfer charges are up to 0.5 % of your outstanding loan amount. Processing Fees • For a self-employed professional it is Rs. 3000 or 0.50% of the outstanding loan amount, whichever is higher along with the taxes. • Self-employed non-professionals it is Rs.4,500 or 1.50% of the outstanding loan amount, whichever is higher, plus the applicable taxes. Salaried individuals it is Rs.3000 or 0.50% of the loan, whichever is higher, plus the applicable taxes. Before opting for a balance transfer, calculate your EMI, as per the interest rate and tenure. Switch homes only when you make really a prominent impact. 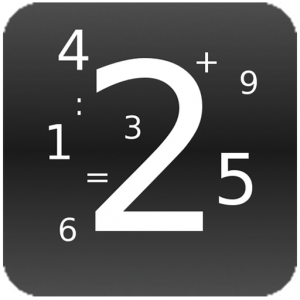 Do your math and then enjoy the benefits. Make sure you are on the right path. Use Loanyantra’s balance transfer calculator and choose your lender. While you refinance your home or look of balance transfer, your chosen lender will also look for your credit score. At the same time, the lenders look for your co-borrower’s credit score too. So, carefully choose and your co-borrower while you opt for loan balance transfer. How to add a co-borrower when you refinance a home? If a borrower wants to have a change of the rules/terms or interest rate or payment period of the existing lender, he opts for a new lender. This is called as refinance. In a refinanced loan, the old loan is paid off with the new loan, and the old terms are replaced with new terms. Many times when the home loan borrowers get overburdened with the interest rates of the bank, they decide to move to another bank offering better interest rates. For example last year, RBI had slashed down the rate of interest for home loan borrowers. Banks like HDFC and SBI had slashed the interest rates by .15% in their lending rate but many banks were not willing to offer this leverage to their existing customers; but, the new home loan borrowers can avail this sliced interest rates. Under such circumstances, the borrower might prefer for a refinance, to enjoy the benefits of the new customer. Your credit score and payment history. Your income and employment history. Your assets (stock, retirements and savings accounts). An appraisal to determine the current value of your home. Rate and Term: This is the most common type of refinance. Here you can replace the existing loan with a new one with new interest rate, new timeline (optional) and new terms. Cash Out: In case you are willing to mortgage a large amount, then cash out is a good option. With cash-out refinancing, you refinance your mortgage for more than you currently owe, then pocket the difference. Be aware where and how you spend the extra amount. Cash In: A cash-in refinance is the opposite of a cash-out refinance. When you execute a cash-in refinance, you bring money and pay the new lender and lower the loan amount, either to qualify for the loan or to retire fast from the loan. Short Refinance: . Here your existing bank may agree to pay off(refinance) your existing loan by replacing it with a new one, making it more cost effective for the borrower. But this might hurt your credit score. Interest rates – Never ignore this factor while you plan for refinancing your existing home loan. It is advisable that you should search in a number of banks to make a comparative analysis of the interest rates so that you can find out which bank offers the best rates. Processing charge: Getting your loan refinanced from another bank may require the bank to process your application which makes you liable to pay a processing fee which could be between .5% to 1% (depending on the bank you are opting) and hence, we suggest that you should always compare the savings you make while opting another bank. If the saving amount is significant go ahead with refinancing. Tenure of the loan – Tenure and EMI are inversely related to each other, if you want a lesser tenure go for higher EMI and vice versa. Few banks do not agree on reducing the loan tenure, under such situations, no wonder you might opt for a refinance, provided you also have a lesser interest rate when compared to your existing lender’s. 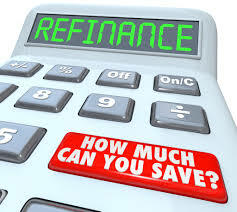 Be calculative while planning to refinance. It’s not mandatory that refinance will always reap benefits to you and hence, you need to meticulously calculate the amount you will save while applying for refinancing. Different banks have different exit policies and penalties; some might go up to 4% of loan amount, thus, calculate the amount and then go ahead with refinancing. It lowers the monthly payment as you opt for a lower interest rate. It makes it easy for you to plan and pay off your loan if you refinance your new home loan from floating to fixed interest rate, as you have a planned EMI. Consolidation of debts for, there will be a reduced EMI. Change of maturity of the loan. Refinance is the best only if you opt for a lower tenure at a lower interest rate. Is there a prepayment penalty on my current mortgage? Though the RBI had removed the pre-payment charges, the banks and NBFCs still ask for a penalty if the loan amount crosses certain limit. So, find out if you will be charged a “prepayment penalty.” The amount varies, but it can add up to several months’ worth of interest payments. Ask your lender. What are the costs of the new mortgage? Lenders almost always charge fees for taking out a new loan. These can add up depending on the size of the loan. The charges could include application fees, insurance fees, plus title search, insurance and legal costs. However, many of these fees are negotiable and are different from lender to lender. Make sure to shop around and compare all associated costs and fees of your refinance. Will my tax savings be reduced? If you claim mortgage interest on your tax return, refinancing to a lower rate will mean that you’ll have less mortgage interest to deduct. That means you might have to check with your tax adviser to see if your overall savings will be increased if you refinance. Our role: Loanyantra is a complete solution guide to the home loans existing in India. We are the first real-time loan monitoring system that work dynamically as the market changes. Our continuous monitoring and market analysis always keep you posted on the latest development and changes in the home loan market and your loan status. Apart from loan management, we work on refinancing and balance transfer as well. Our sole objective is to make sure that all the customers of Loanyantra are able to close their loan easier and faster. Know more on how to add a co-borrower while you refinance your home. Cost of switching home loans to new lenders? Author keerthiPosted on August 4, 2016 May 3, 2018 Categories balance transfer, BANKS, co-applicant, Home Loan, Hot Tips, Loanyantra, RefinanceTags balance transfer, refinance, switch banksLeave a comment on What is Re-financing?